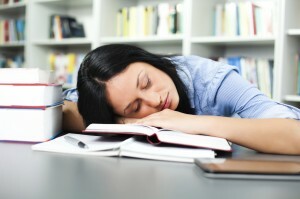 We all know how important it is to spend time studying, but how effectively are you spending that time? If you aren’t using healthy studying habits, your time could be wasted. Here are a few tips to make sure you’re getting the most out of your study break. Sometimes you don’t have time to rewrite what you’ve read in a summarized form. This is when highlighters come in handy. 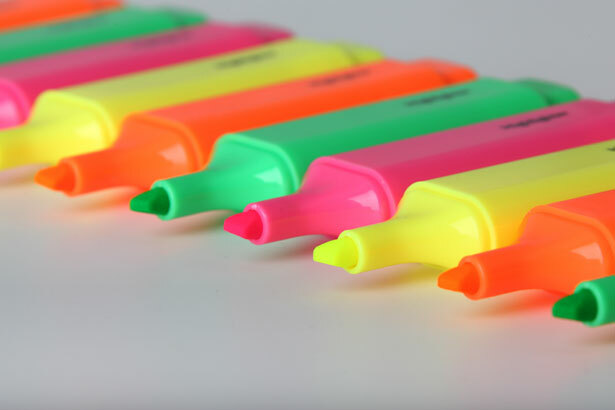 Having at least two different colored highlighters on hand while studying can make note taking faster, more efficient and allow you to color code as an added bonus. Knowing how to skim a reading can be very useful during exam time. You should read the material thoroughly the first time of course, but when you ready to review the reading, it’s better to have a quick summary to recall facts. One way to do this is to read the introduction paragraph, the first and last sentences of each body paragraph, then the concluding paragraph. This should give you a broad overview of the reading and remind you of what you have already read as a whole. It’s important to keep your notes neat and readable, otherwise they can be next to useless as it will take you longer to decipher your notes than it would have taken to reread everything. If you must write quickly to keep up during lectures (who doesn’t?) then try setting aside time later on to re-write your notes legibly. It will pay off in the long run. Pay attention to what times during the day you feel the most energized and motivated. Try to tailor your study sessions to these times during the day. Nothing is worse than trying to study with drooping eyelids! Plus, you probably won’t remember anything you read while you were tired anyway. 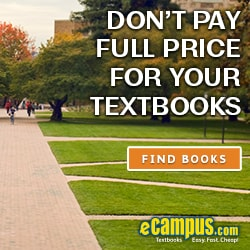 What are your sure-fire study tips? Let us know in the comments below! When we think of military-grade performance enhancers, secret trials in the desert come to mind, cover-ups, and maybe a sprinkle of spooky side effects, but you might be surprised to learn that the focus of cognitive enhancement studies for soldiers is none other than caffeine! As college students, how can we use this knowledge to our advantage? A quick survey of classmates and coworkers revealed an astonishing discovery—most people don’t consume caffeine regularly. 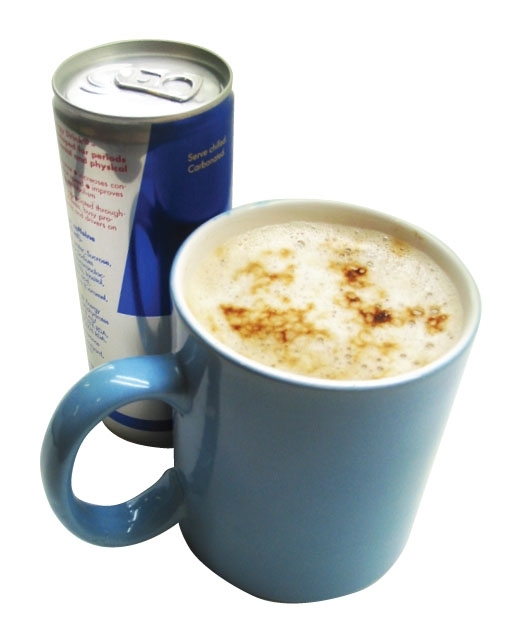 The aversion to drinking caffeine regularly is logical in the sense that you might think that when you really need it, say during finals, your pinch hitter will be out of the game with a sore shoulder. Furthermore, caffeine is rightly labeled a drug, and as such has side effects and warnings. Perhaps illogically, these same students had no problem chugging down Four Lokos like it was a gift from the party gods, but in our defense, college is about honing our decision-making skills, right? If this is your worry, and I suspect it’s a common one (our parent’s generation tended to be leery of long-term OTC therapy), a little information can help you gauge how effective your caffeine usage is. First: Know your target effect. You want to feel alert, focused, and faster than normal. If it were a “this is your brain on drugs” commercial, there would be a hyper-focused squirrel in the frying pan. Caffeine is called a “stimulant” but it’s actually an antagonist–it blocks the adenosine receptor from receiving signals of tiredness and blocking up neural pathways. Of course, too much caffeine and the results go haywire as too many pathways are opened up, leading to stress and confusion. The second consideration is timing. Research supports small, measured doses throughout the day rather than large amounts all at once that lead to a rollercoaster effect of peaks and dips in energy. Those soldiers I mentioned chew caffeinated gum with small doses all night long, a technique researchers say could help civilians as well, if caffeine weren’t the cultural phenomenon it were. Going out for caffeinated gum doesn’t have the same dating possibilities. The rule of thumb to not drink caffeine after midnight drives me crazy. Not one adult that I know has trouble falling asleep after a cup of coffee after dinner. Trust your gut and use your common sense. One-size-fits-all is nearly always a misnomer. It Is Time to Study? So let’s be honest- college may be the first time you’ve ever really had to study for something. There are a few tricks to remember when studying if it’s been awhile! Your first order of business is to gain motivation. Whether your homework is due in an hour or you want to knock it off so you can enjoy the weekend, motivation is key. Remind yourself that if you get your homework done right now, you will not have to worry about this specific assignment ever again. First, try visualizing yourself doing your homework. This may seem corny and simple, but it can get you mentally prepared to sit down for some length of time and do your work. Remind yourself of how long it may take you to do your homework and realize it will end eventually. Next, create a useful workspace. Ensure your basic needs have been met before entering said space: you have gone to the bathroom, eaten something, and are not thirsty. You are neither too cold nor too hot. Choose an environment with a workable atmosphere. Do you need complete silence? Do you like to be around others who are working? Maybe the library is for you. Or you can be completely cliché and go to a Starbucks, but hey, whatever works. Find a place you can concentrate in. Set up your area with minimal distractions, i.e. giving yourself 10 minutes to get whatever it is you want to do (Facebook usually) out of your system then putting your beloved phone on airplane mode. Have a water/tea/coffee readily accessible. Do you study/do homework with music? Put on a playlist and don’t touch it. This will lead to much wasted time. Give yourself small goals and rewards. For example, if you complete three whole pages of your essay, reward yourself with 5 minutes on your phone. If studying a difficult subject, maybe studying in groups is good for you. Just ensure you focus on the topic at hand. Surround yourself with other students who can be academically oriented and have good study habits that you can emulate. When I was first thinking about education start ups, the first thing that popped into my head were websites like Phoenix University, sites to prep for graduate school entrance exams, etc. It turns out there are a lot more resources out there for students to utilize. There are now places where students can interact with professors, learn from tools tailored to their specific learning styles, and study confidently. Eventually, I hope no one will have to worry about what kind of parking pass they need, cry on the inside from overpriced books they are required to buy, and be able work from home. 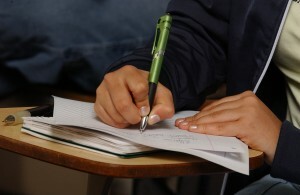 Here are some great startups that have helped students relieve some stress while studying. 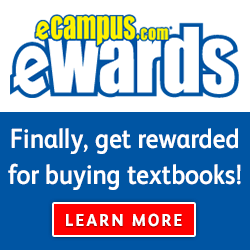 Grockit puts the fun into studying by using online social learning services. This company has developed a series of effective prep games for the LSAT, GMAT, SAT and high school AP classes. Recently it has started a service called Grockit Answers. Grockit Answers is a site that creates a question and answer page for any video on YouTube, allowing students to develop a better understanding on virtually any topic. The company name comes from the work grok, which means to understand something so well that it becomes a part of you. Grockit believes that students learn better through peer-to-peer learning rather than teacher-to-student and they are building their company around this belief. With almost $25 million in funding, Grockit is well on their way to helping a lot of students. Founded in 2008, 2tor partners with colleges and universities to build, implement, and market their online degree programs. They supply the colleges with tools, expertise, and capital needed to develop and implement state-of-the-art online learning platforms. 2tor is able to enhance offline learning curriculum by creating an innovative online environment for students to learn. With $64.8 million dollars in funding so far, this company is going to continue to grow and we think become a great success. To give you an idea of the impact 2tor can have on a school, USC’s Masters of Teaching program had about 80 students before partnering with 2tor, and all of them were on its California campus. Now it boasts almost 1,500 students enrolled in the program across 45 states and 28 countries. They all pay the same full tuition and get exactly the same degree. 2tor handles the website, supplying the students with webcams, creating online teaching materials in partnership with faculty, the logistics of finding local schools were the students themselves can practice teaching. The company shares in the tuition revenue. 2tor has most recently partnered with UNC’s Kenan Flagler business school to help them bring their MBA online. 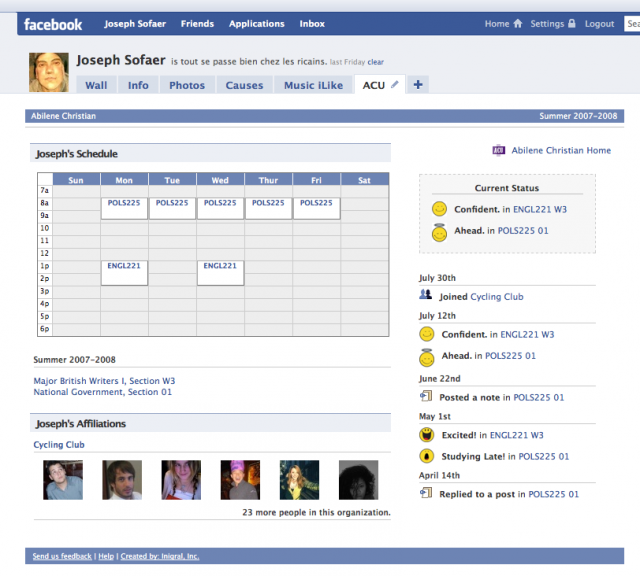 When Facebook was originally started it was only for college students. This meant that you had the ability to see who was taking the same courses as you. Once Facebook expanded beyond the scope of just college students this feature was discontinued. Inigral is picking up where Facebook left off. By developing an app called Schools, Inigral is able to show students not only which courses others are taking on but also other campus affiliations. This means that a student is able to see which student organizations others are joining as well as other’s athletic involvement, majors chosen, and which residence halls they are living in. What is unique about this app is that Inigral is selling it and making the colleges and universities pay for it instead of the students. With only $7 million dollars in funding, Inigiral is certainly still in their infancy and they have a lot of room to grow. 19Pencils is an education startup that is geared towards K-8 educators, but can also be helpful to college students. 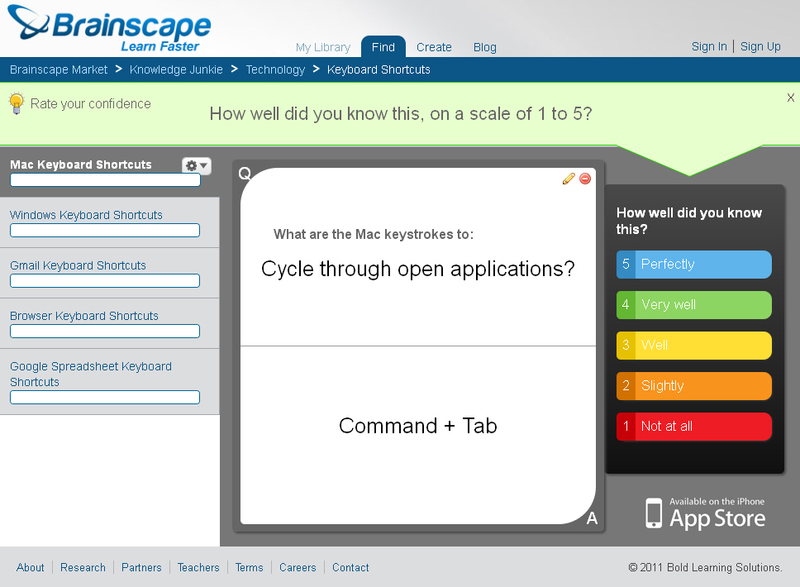 This site helps teachers and students quickly and easily find specific web content based on a topic. It also allows educators to keep track of how much time a student is spending on a given task letting them see which students may need extra attention understanding and exploring a topic. In addition, 19Pencils has introduced Playground where students can chat online amongst themselves sharing ideas and thoughts on assigned content. While this startup is still in the very early learning stages, we think they have a great potential to grow into the education market. Brainscape is a simple and brilliant way to facilitate studying. 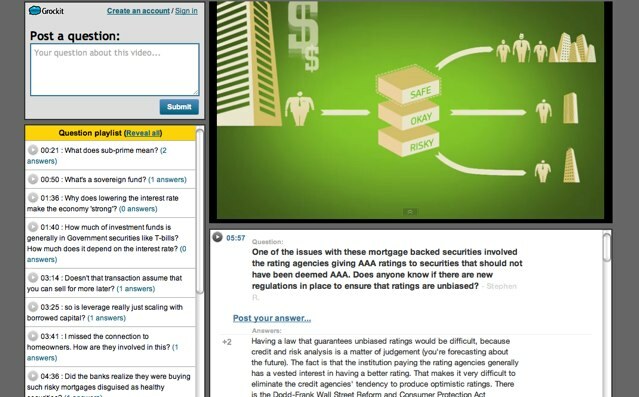 This site and mobile app let students use “smart studying”, where students study with interactive flash cards. As the student completes each flash card they are asked to rank the difficulty of that question. The more difficult the question is the more it shows up in the student’s deck of flashcards. There are several sets of flash cards that are built into the program and students are also able to build their own set of flashcards allowing them to study anything at all. They also offer online teachers and premium content, if you need that little extra help. Out of all the startups written about in this post, this one is by far my favorite. It is such a simple concept, but also such an important one. Using flashcards is a way for students to study verbally and visually. I think we are going to watch this company skyrocket in the coming years.